CITIUS: State-of-the-art facility with a range of spectroscopic (6 NMR, 3 MS, Maldi-TOF), analytical and X-ray diffraction equipment (http://investigacion.us.es/scisi/sgi). Researchers at IIQ have a wide experience securing national and international projects, including a number of contracts with leading companies. Our scientific environment will offer student and postdocs with great opportunities to network with scientists engaged in a broad range of research endeavours. 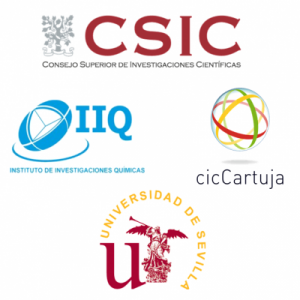 The fact that the Department is an integrating part of the Isla de la Cartuja Scientific Research Centre (www.ciccartuja.es) that also counts with the Institute for Materials Research and the Institute for Plant Biochemistry and Photosynthesis provides further prospects for multidisciplinary collaborations.